Nick photographed our wedding on July 29. He was very excited to shoot at our venue (Holmes Mill) for the first time, and the photos turned out beautifully. He's obviously very passionate about what he does. Nick is professional and made the planning process easy for us. Even though we were planning from Korea and the U.S., it was always easy to get ahold of Nick when we needed to, and we felt that he truly listened to what we wanted, unlike other photographers we had spoken to. Besides a few short photo sessions throughout the day/evening, we hardly noticed Nick was there, which was great for a couple who normally hates taking photos! He produced so many great photos it's going to be tough deciding which ones to print. My husband would like to add that Nick is a "good lad." Thanks so much, Nick! We loved everything about having Nick as our photographer and would highly recommend him to any future Bride & Grooms! We got married at Eaves Hall and as I was so in love with the venue I simply searched photographers who had worked here before & captured everything I loved about the building - I came across Nick’s stunning pictures of it very quickly as they stood out a mile from the rest. The first meeting with Nick was comfortable and friendly and he gave us LOADS of great advice for the day as he knew the area better than us. On the day again it was just so comfortable having Nick around he’s such a genuinely nice, friendly guy who you’d more than happily have at your wedding even if he wasn’t taking amazing photographs!! Ha! He again had loads of little tips and advice for us on the day and eased any worries I had with all his knowledge about the venue and the way things usually run! Nick is the perfect wedding photographer. 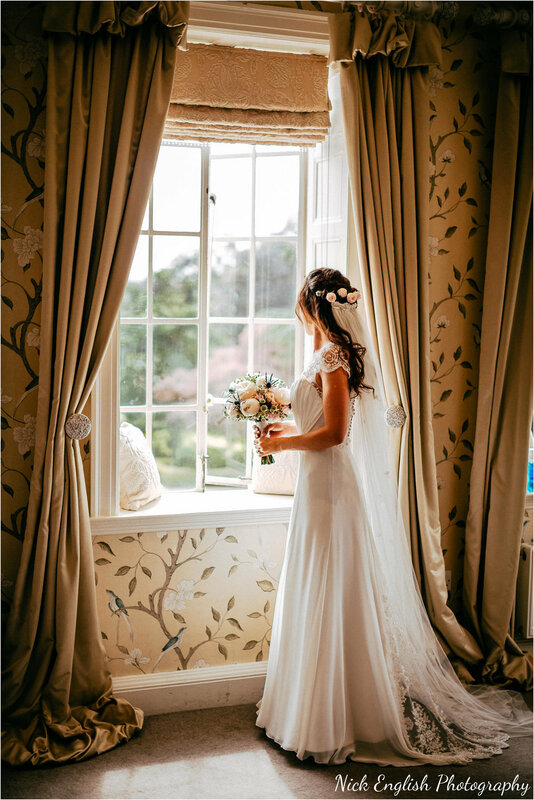 We knew straight away that we wanted him to photograph our special day as his images are so romantic, crisp and in the exact style we wanted; caught in the moment. The final photos are breath taking and he pays a lot of attention to detail. We arranged a meeting with Nick before committing and get so comfortable with him. He’s very easy going and his passion for photography is easily visible. So natural and not forced. You can really see the love! 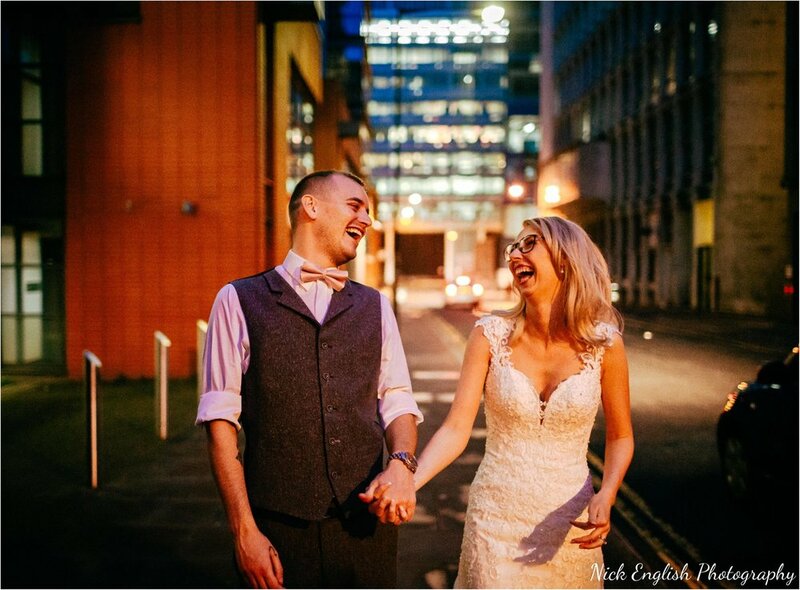 We absolutely adore all the photos from our wedding day and would definitely recommend Nick as a photographer to anyone getting married. What can I say about Nick that hasn't already been said by all the brides and grooms before me. I first met Nick a few years ago when I was a Bridesmaid at a wedding he was photographing. I loved that Nick takes natural photos and that he wasn't constantly asking people to pose for him, this is something I hate being asked to do! When I first asked Nick to photograph our destination wedding in Lake bled, nick jumped at the chance, oozing enthusiasm. I knew straight away Nick was the man for the job! He is extremely passionate about what he does and it really does show in his work. Nick made Ben and I feel totally at ease and it was genuinely like being with one of our friends. Nick went above and beyond at our wedding and for that, Ben and I are eternally grateful. Quite simply Nick is amazing!! From start to finish Nick has been friendly, attentive and professional. Regular contact before the big day made it feel as though we knew Nick. Neither me or the hubby are natural in front of the camera so initially we liked Nicks candid style. We hadn’t appreciated how important it was to also have a photographer who puts you at ease on the day as well. Be it the slight instruction on how to stand or just letting us be naturally goofy together Nick knew exactly how to call it. His experience is invaluable and you can tell through the quality of photos he’s taken. Nick must also have a part time job as a ninja. We honestly didn’t notice him throughout the day as he blended in with our guests. The guy is top rate at camouflage! We’re astonished at some of the photos Nick has produced. They completely capture the love and fun of the day exactly as we remember it. These photos are our lasting memory of the most special day of our lives so they’re so precious to us. We’re so happy we booked you Nick!! It was one of the best decisions we made. You’ve been fantastic and we can’t thank you enough!! Oh flip. Nick where do we even start?! From our first enquiry when you were on holiday to just now when you have sent the link to our photos we have been blown away by your attention to detail, calming presence and sense of fun! As you know all we wanted our wedding to be was full of fun and laughter and you have captured the spirit of how the day felt perfectly. We are thrilled that you were available to photograph our wedding; we will treasure our photos forever and fall in... love all over again. In my previous life, I would always recommend you because you were so easy to work with and a genuinely "top bloke". Now, as a client, I would recommend you for your hard working nature (some photos I don't know how you got them - different ends of the church within seconds! ), and the sheer quality of your product. Your photos have blown us away. We couldn't have asked for more. The words thank you are too simple to convey what we feel, but as I don't know how else to say it, thank you. We had Nick capture our wedding 29.9.17. From start to Finish he was amazing!! He made us feel relaxed and blended into the background so all our pictures are very natural. Our final pictures are our of this world...memories we will have forever! I would highly recommend Nick and cannot thank him enough!! As soon as we met we knew he was the right guy for us - we loved his style of 'capturing the moment' rather than hours of posing pictures. He makes you feel so laid back and relaxed that you forget he is there, and the pictures WOW!! We would highly recommend Nick! Nick did everything we wanted from start to finish. He was always there blending in taking natural pictures and then did the specific ones we asked for. He worked so so hard and put every bit of professionalism and art into every single shot. If you want a photographer that gives you what you ask for but knows whats best, is friendly, professional and easy going...nick is your man! Nick English was chosen by my daughter to photograph her wedding at Eaves hall on 9th July 2017. One of the best decisions she has ever made! (next to marrying Rob lol) The whole day was perfect! Nick was quite simply "amazing". It's a massive day for everyone! Months of planning! Meetings for the flowers, music, cake, suits, makeup, hair, bridesmaids etc etc and of course Alot of expenditure! Finally the day arrives but passes by far too quickly! I kept thinking to myself "....hold this moment, keep this picture in your mind!" But that's impossible to do! And that's where Nick English came in and excelled! Soooo many incredible pictures! Nick captured all those moments and by far many more! Ones I would have never seen! Today me and Tanya went to have some of nicks pictures printed off for framing ((spent ages trying to decide which to print as there are sooooo many fabulous ones) even the printer commented on them and said that we had chosen an extremely good photographer and that the quality was excellent! Nick photographed our wedding at Eaves Hall in July 2017. I stumbled across his website when searching for a photographer and absolutely loved his style of photos. From the first contact Nick was so lovely and took the time to get to get to know us and chat through exactly what we wanted. He was so approachable and professional and made the whole process very easy. On the day, it was an absolute pleasure to have Nick there. My husband hates having his photo taken but Nick made us felt at ease and we had great fun taking the pictures! He fitted in well with the guests and everyone commented on how nice and chatty he was. The photos of the day were absolutely stunning....he managed to capture every moment and we will treasure them forever! Thank you again Nick! Couldn't have asked for more from Nick. From the initial meeting to the final pictures, Nick was a dream to work with. At our wedding, he was very personable and never once felt imposing. He was there to capture the whole day - from early morning to late into the evening and the pictures speak for themselves. On receiving the final pictures of our wedding, I actually cried into my cup of tea. The pictures brought the whole day back and really captured the essence of our big day. I would recommend his work to anyone who is looking for a relaxed photographer who takes the most beautiful pictures and has a real eye for detail. Our daughter chose Nick English Photography for her wedding and all we can say is what a fantastic photographer. Nicola wanted most of her photographs to be natural and unposed and Nick is really good at this! From arriving in the morning he was friendly and put us at ease. He told us to forget he was there which we thought would be hard as none of us are particularly keen on having our photos taken so are acutely aware when there's a camera about! However within a few minutes we genuinely had forgotten Nick was there and the resulting photos proved this. They were nothing short of amazing - so, so natural and we've spent a lot of time since in wonder at how he managed to take so many fantastic shots without us knowing. A brilliant photographer. Highly recommended indeed. My Husband and I were incredibly lucky to have chosen Nick English to be our photographer on our wedding day. Nick has such an amazing talent for capturing moments naturally which is exactly what we wanted. The photos we now cherish are nothing short of world class. I recommened Nick to all my dear friends and family as I can guarantee you will not be disappointed. We picked Nick for our wedding based on a previous recommendation from a friend. On meeting Nick we were instantly sold and booked him straight away. We are so glad we did. He captured our wedding so well and was a great support throughout the whole day. Very professional and would highly recommend. Our album is amazing and something we will treasure forever. Booking Nick for our wedding was without doubt the best thing we did. He was such a natural who blended in as a guest and really made everyone feel at ease. Neither of us enjoy having our photo taken so Nick's natural photography really worked well for us. I am so, so happy with the photos and the fact he beautifully captured all the memories that we can now look back on forever. 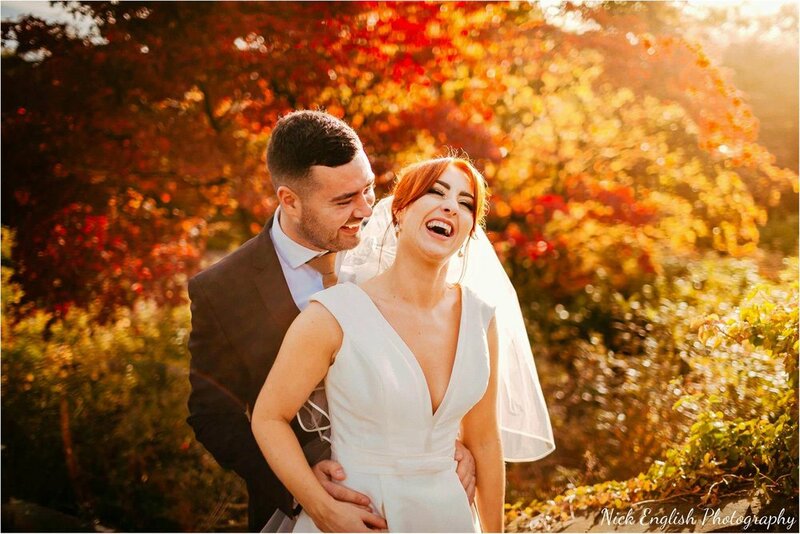 We chose Nick as our wedding photographer based on recommendations and also because we had seen him in action at a family wedding and were very impressed. We were so glad we did as he captured the atmosphere of the day brilliantly and we are super happy with the photos.